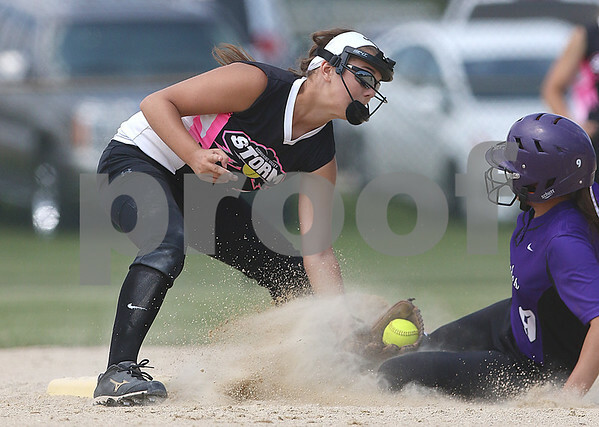 Kishwaukee 14U Storm's Haley Westberg makes a tag on Fox Valley Renegades baserunner Ashley Rivas during Storm Dayz pool play at Sycamore Park on Friday, June 24, 2016. The Storm beat the Renegades, 5-1. Rivas was called out.